A keep-full service (automatic delivery) is available. We track what you use and fill your tank when it’s about 1/4 full. You don’t need to watch your tank or call us for a delivery. There is no charge for this service. 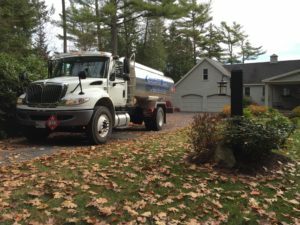 Crowley Energy deliver heating oil in Maine from Augusta to Cape Elizabeth. Our service is dependable and you can always expect a low price and safe delivery.